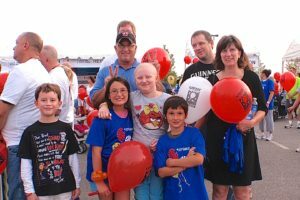 On September 24th, 2011 Natalee, Rachel and friends participated in the Light the Night Walk in Annapolis Maryland. 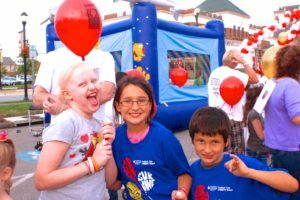 The Light The Night Walk is a fundraising campaign benefiting The Leukemia & Lymphoma Society (LLS) and their funding of research to find blood cancer cures. 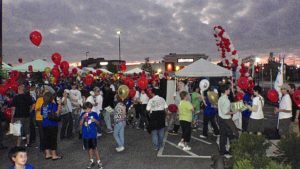 Light the Night walk is a night where everyone who has encountered this horrible disease can get together to walk in support of those who are battling, battled and won, or unfortunately didn’t beat it but are remembered! 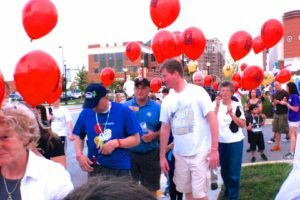 The different color balloons are associated with each of these situations.